Funko has revealed the next series of Pop! Vinyl figures based on HBO’s Game of Thrones. 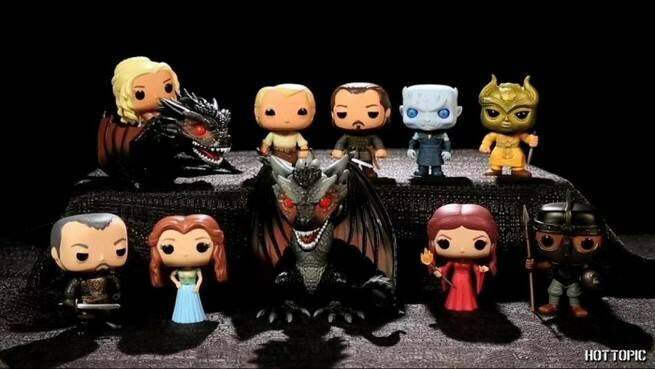 The new wave includes vinyl figures of Margaery Tyrell, Bronn, Jorah Mormont, Stannis Baratheon, Melisandre, a Harpy, an Unsullied, the Night King, and Rhaegal. There’s also a Pop! Rides figure of Daenerys & Drogon, and a Hot Topic exclusive solo Drogon. The new wave releases this February. Check them out in the gallery below.